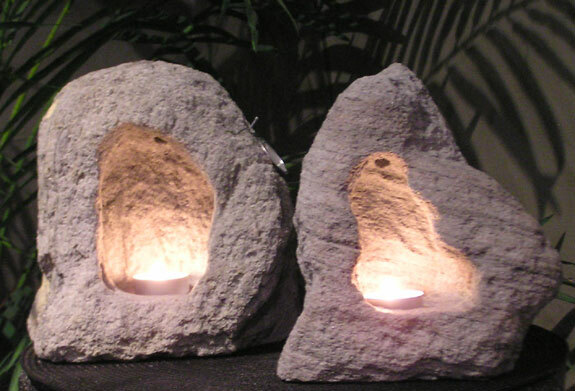 These are outdoor volcanic stone candle holders called cave candles. 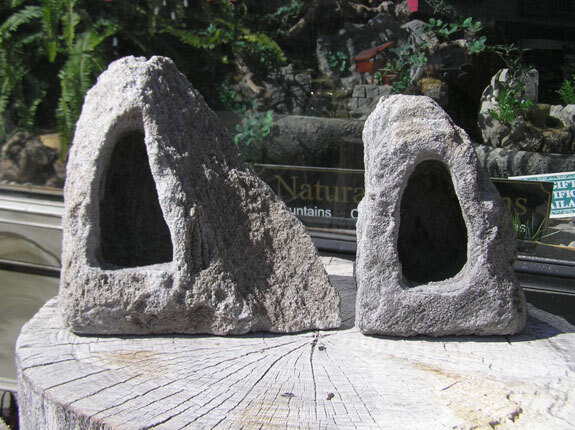 Hand sculpted from volcanic rock called pumice. Perfect for tabletop or floor. Our candle holders are great by the pool or on the deck. 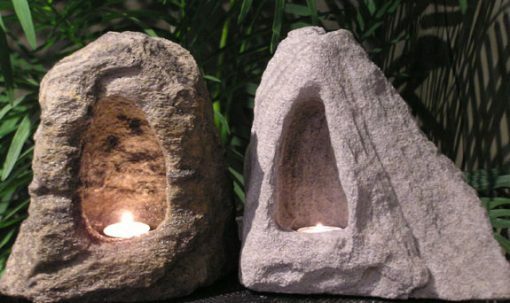 They can be made for votive as well as tea light candles. Stone cave candle holders are not effected by weather and extremely wind resistant because of the cave effect. 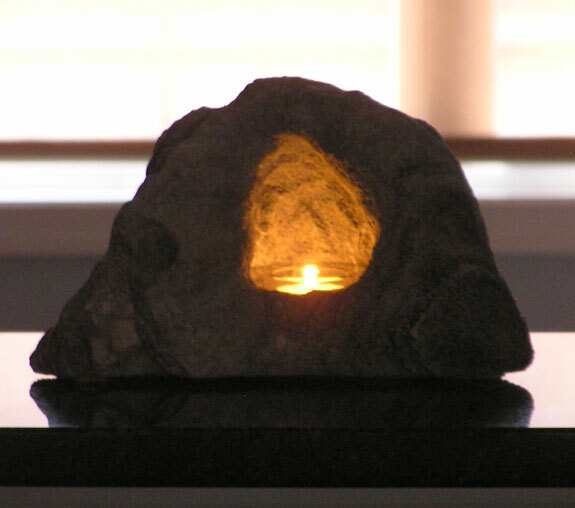 Tea lights are recessed to give maximum candle light in the cave. 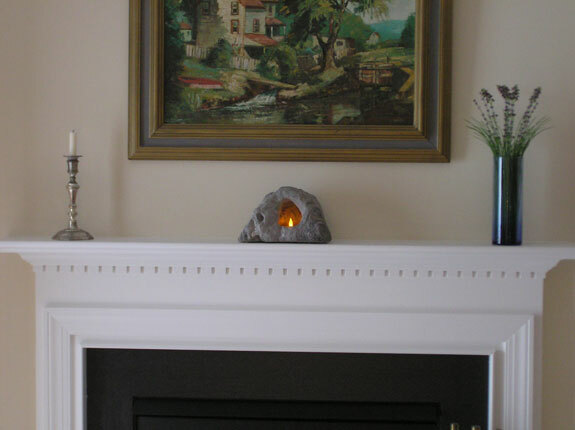 Candles can now be enjoyed in both daylight and at night because of their natural looking cave.